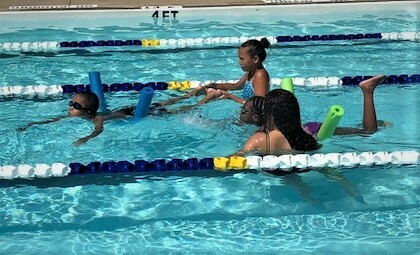 In June of 2018, the Sandsharks moved to the Town of Southern Pines pool, located in West Southern Pines, a traditionally African American community. The pool had not opened in 2016, due to a lack of lifeguards. The Sandsharks partnered with the Town and Sandhills Pediatrics to staff the pool--even before realizing it would soon be SSS's permanent home. Since August, Sandsharks domed the pool, plus upgraded the electrical and plumbing, installing new showers and hot water in the bathhouse. Additionally, Sandsharks purchased a pool heater, plus lane lines, starting blocks, and other equipment needed for swim practices. Sandhills Sandsharks is proud to call the Town's pool home. It's the biggest and best step we've taken in 36 years. We are grateful for the Town's and community's support as we look to the future. Sandhills Sandsharks was founded in 1982 by Marsey Peterson, an ASCA Age Group Coach of the Year and mother of current SSS Board President Lindley Fleury (High School All-American, Collegiate All American, Indiana University, National and World Masters Champion). Marsey moved to the Sandhills with her husband when he retired from the military. She realized the community lacked competitive swimming and access to swim lessons. Over the ensuing decades, her efforts and those of the coaches who followed her yielded a growing, successful team and lessons program. Many SSS swimmers have gone on to National level competitions and received college scholarships. We are one of the longest running small teams in USA Swimming’s history. The Sandsharks are a 501 ( c ) 3 non-profit, managed by a board of past and current parents and coaches. Our board’s diversity is one of our many strength: parents represent public, private, and charter schools; five of our members swam at the collegiate level (one of whom swam for SSS) and together represent five decades of Club and College level swimming. Three members are active triathletes, and three have ties to Fort Bragg. The Board is instrumental hosting NC Open Water Champs (June) and the Carolina Cup Open Water Invite (Sept), which total close to 1000 athletes and over 2000 spectators. 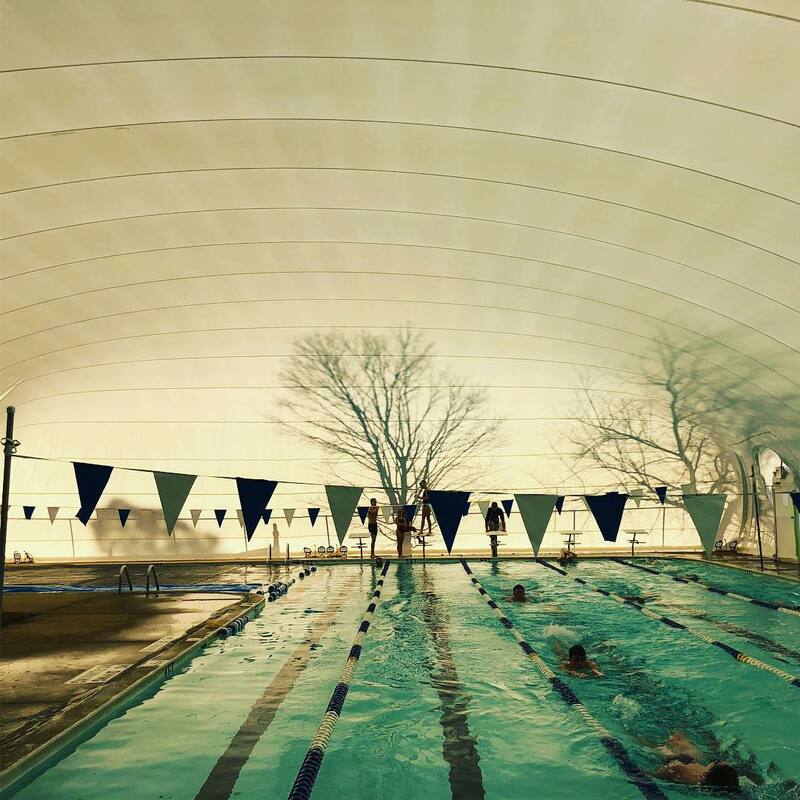 For over 30 years, Sandsharks has served the greater Sandhills area through both competitive swimming and aquatics programming. While best known for our year round program, our aquatics side is equally strong. The Sandsharks competitive side follows USA Swimming and the ASCA’s developmental model to nurture and challenge our youngest, novice swimmers through our college-bound high school swimmers. Family and academics come first; swimming is just one of many sports and activities in our athletes’ lives. We emphasize quality instruction and the opportunity to grow at a rate appropriate for each swimmer with the goal of seeing our senior swimmers reach their potential. The work ethic and camaraderie gained through practicing with integrity, effort, and focus pay off in giving our swimmers the skills for success both in and out of the pool; both now and later in life. The Sandsharks aquatics programming side is expanding quickly, thanks to our move to the Town of Southern Pines pool. The space and ideal location means we can engage a larger segment of our population. Swim lessons, summer league, and swim teams give kids life-saving skills and keep them active. Lessons prepare kids for summer league, and just a few years of summer league preps kids for lifeguard jobs, high school swim teams, and year round swim teams. Swimming also give kids looking to join the military a set of skills which sets them apart from many of their peers—and many of our kids head that direction. Masters swimming keeps adults active, and lifeguard training ensures jobs for our youth and an open pool for the Town. Being in West Southern Pines positions us to serve local children through Make A Splash, USA Swimming’s Learn to Swim outreach program for underserved populations. 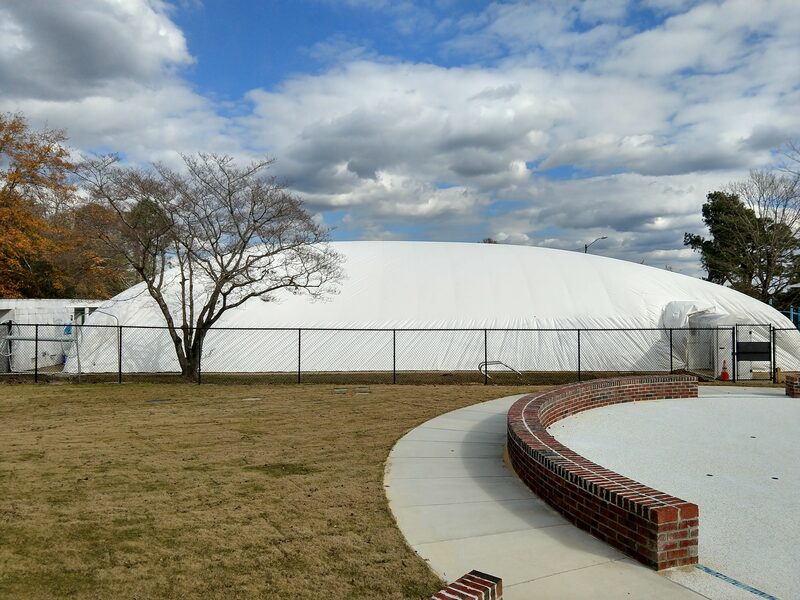 The pool’s location near the Boys & Girls Club of the Sandhills, with whom we have partnered, and near the site of the new Southern Pines elementary school will benefit all of our programs while bringing more families and youth to the park. We have been running Make A Splash lessons during the summer for the past 2 years, and also on Saturdays since October 2018. We hope to serve 40 Boys and Girls Club members this summer. Moore County, NC, is driven by the military/Ft Bragg, the medical, golf, and equestrian communities, and by retirees. We do not have large corporation—the type which support youth-oriented organizations such as our own—in our area. Therefore, we are reaching out to those entities who understand our mission, and who can appreciate the challenges of increasing services for youth in communities such as ours. Every year, we fundraise through participating in USA Swimming’s Swim a Thon (swimmers are sponsored by the lap). And, we bring in funds through hosting two Open Water meets at Lake Echo, which bring in over 1500 athletes and spectators. These dollars benefit not just our swim team, but also Moore County’s tourist industry. 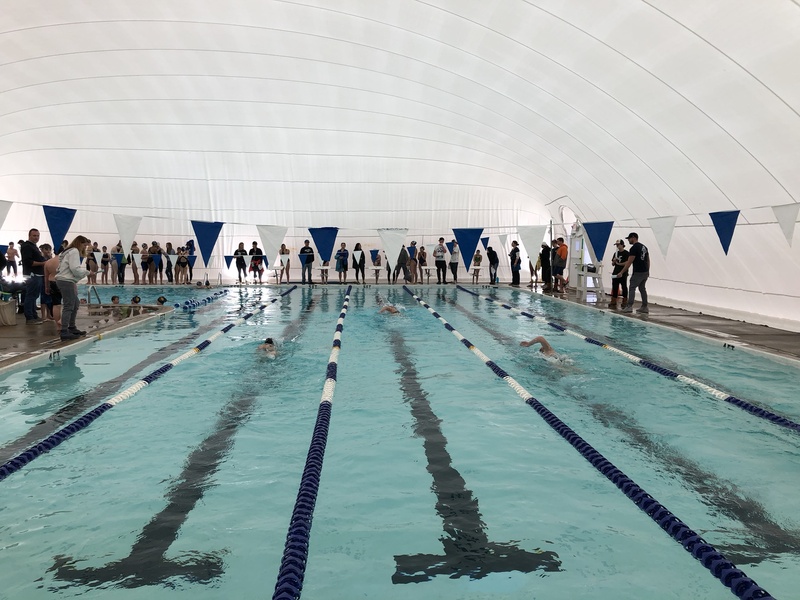 We know our investments in the Town pool will benefit the community for years to come, and we invite all who support our efforts to join us through participation in lessons, USA Swimming, summer league, and Open Water. For additional information on how you can be a part of our mission, please see the Sponsor page.